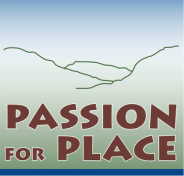 Passion for Place features forty-five community members who have contributed their time, talents, and love for the watershed and river. Thirty–seven have written thought-provoking, beautiful stories, essays, and poems. Drawings by Pamela Takigawa and Anne Greene, plein air paintings, and photographs of water of the Carmel River and its tributaries by Paola Fiorelle Berthoin accompany the text. In addition to the writings, a CD features eight community members who have enthusiastically shared their stories in interviews. Excerpts from these interviews are accompanied with natural sounds from the watershed. Freeman House, author of Totem Salmon: Life Lessons Learned From Another Species, has written the Foreword. Internationally recognized writers Terry Tempest Williams and Peter Forbes have lent their support for the book through granting permission to use excerpts from their writings. The arts and humanities play an historical and pivotal role in inspiring civic will to take action for wise regard of our Earth. John Muir, Henry David Thoreau, William Keith, Rachel Carson, Wendell Berry, Terry Tempest Williams and so many more citizens, past and present, all invoke through writing or art a passion for preservation and conservation. In the stories of this book and CD, we are given examples of what happens when people take up the fate of the watershed community. Consider the ingenious efforts to help preserve the Carmel River steelhead and the sustained, impassioned efforts to create forward-thinking planning documents to help protect the beauty of the river and Carmel Valley. This fusion of scientific and political efforts joins conscience and imagination in caring about the fate of the fish, the fate of soil, the fate of trees, the fate of us. Excerpt from book flap summary by Barbara Mossberg PhD.